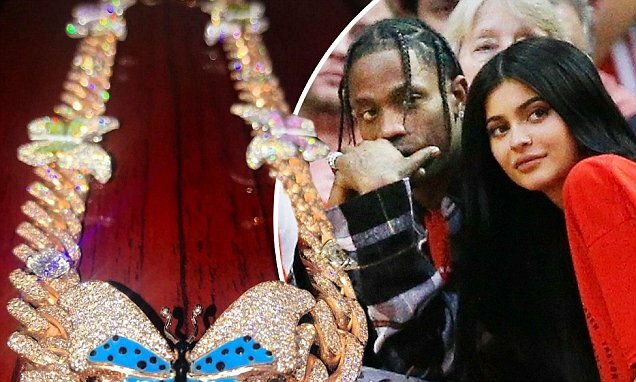 And apparently boyfriend Travis Scott, 25, couldn't help but shower Kylie Jenner with lavish gifts for her big day. While it was a pretty trinket, it reportedly was in reference to Scott's track Butterfly Effect, which dropped back in 2016. It also seems Scott may have waited until the last minute, as he supposedly only contact master jeweler Elliot Avianne two weeks before Kylie's birthday to commissioned it's creation. In terms of the piece itself, it's composed of 28 carats of VVS diamonds, which are renowned for their unequalled clarity.